Medical practitioners benefit immensely from advances in technology — gaining access to virtual databases, advanced machinery, more targeted treatments and more efficient and effective testing methods, to name just a few advantages. 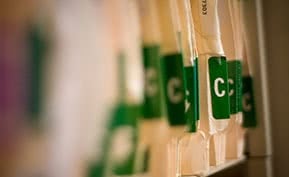 But many medical offices have yet to fully harness the software technologies available that can be used to improve patient record archives, billing processes, practice management and patient interactions. Often medical providers are quick to point to cost, the hassles of transferring data and difficult-to-implement systems as their top reasons for sticking with more traditional methods. Luckily, many of today’s leading medical software platforms offer easy-to-install cloud and web-based solutions at an affordable price. And even better, many vendors now provide simplified solutions or bundling options for all-in-one EMR and practice management. Traditionally medical software has been divided into four main areas: electronic health records or electronic medical records (EHR/EMR), practice management, billing services and e-prescription. And while many software vendors offer more than one of these solutions with integration capabilities, the amount of time and resources required to purchase, install and connect multiple systems can be considerable. For smaller practices in particular, implementing any combination of these systems has remained cost-ineffective and time-consuming. 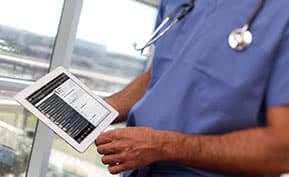 Fortunately, newer versions of medical software streamline the process by offering an all-in-one platform for medical professionals, as well as tools or integrations for additional medical software needs. All-in-one options combine tools to oversee and automate administrative tasks with functions designed to consolidate management of patient records. The result is a single comprehensive portal through which medical professionals can perform many essential exercises, from supervising in-office activities to tracking insurance details and claims. For those considering an all-in-one platform to fulfill their medical software needs, establishing your desired set of functions is a must. Many healthcare solutions are or can be optimized for specific medical fields and include different feature combinations, making it all the more important to determine which features would best benefit your practice or office. Billing — Billing represents the pulse of your practice; get it right with automated tracking and improved collection management processes. Charting — Improve how you manage patient files with a single repository and customizable chart configurations. Patient Portal — Ensure your patients have total access to your practice with a streamlined dashboard for doctor-patient communication and self-accessible health records. Scheduling — Enable patients and your office to efficiently schedule consultations, track appointments and automate reminders. E-prescribing — Easily generate and submit prescriptions electronically to participating pharmacies at your convenience. Insurance and Claims Scrubbing — Verify insurance claims and identify issues before submission to simplify claims oversight. Now that we’ve covered the basics of all-in-one medical systems, let’s move on to the software offerings. Let us introduce five budget-friendly solutions (listed in alphabetical order) that your practice should consider if you seek a unified platform to fulfill your medical software needs. Known for their billing tools and services, AdvancedMD offers comprehensive support for medical offices and stands out as an affordable yet robust system. Though not the simplest interface to maneuver, AdvancedMD proves itself a worthwhile competitor with its straightforward navigation and simplified patient communication capabilities. In addition, an iOS mobile app provides added value for Apple-friendly practitioners on the go, while integrations with third-party medical tools provide simplified syncing of back-end processes. CareCloud offers a visually pleasing interface through which medical professionals can quickly review all aspects of their business, from day-to-day responsibilities to overall performance. CareCloud is optimized to streamline medical tasks and improve oversight of patient interactions, back-end operations and practice analytics. One drawback to the platform is that CareCloud currently only offers a mobile app compatible with iOS devices, which means tablet-heavy users with other operating systems might consider other alternatives. With CureMD, medical practitioners gain access to complete practice management tooling designed to automate workflows and increase operational efficiency. CureMD All-in-One includes training videos plus support via email, phone and tickets to ensure users are able to maximize the platform’s functions and quickly resolve any issues that arise. CureMD offers an iPad app, which is great for heavy iOS users but means practices looking for additional mobile accessibility options will need to rely on their browser. Kareo offers an exceptional EHR solution and a leading medical billing solution, making the vendor a go-to for many smaller practices. Just as worthy is the company’s EHR-integrated practice management option, which includes a user-friendly interface and powerful tools for overseeing insurance, billing and claims. The Practice Fusion platform consists of a fully functional EHR with built-in charting, e-prescribing and labs and imaging tools. A completely free option for medical offices, Practice Fusion provides a noteworthy alternative to costly software platforms, especially for very small businesses with a tight budget. One thing worth noting is that Practice Fusion does not include medical billing tools, although the platform does integrate with leading solutions and services. For more information about electronic medical record and practice management solutions, be sure to check out our comprehensive Top 10 Practice Management and Top 10 EMR Software Reports today.